Courses will be conducted in the facilities of the Department of Life Sciences at the University of Iceland in Reykjavik, as well at the University Nature Centers located in fishing villages all around Iceland. 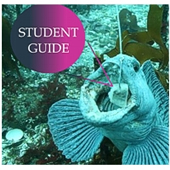 Further details, including relevant maps, can be found in the Student Guide, and an overview of the course locations can be found below. The Department of Life Sciences is housed in Askja, a new building situated on the main University campus located in central Reykjavik. Askja features state-of-the-art lecture halls as well as teaching and research laboratories. It will serve as the base of operations while courses are occurring in the Reykjavik metropolitan area. The Marine University Centre is situated by the harbour in the small fishing village of Sandgerði on the western tip of the Reykjanes Peninsula. It is about a 40 minute drive from the University of Iceland in Reykjavik. The Centre boasts an excellent taxonomic laboratory, housing a massive collection of deep-water invertebrates, as well as new fish rearing and experimental facilities. The University Centre is also the home of BIOICE, a collaborative research program focused on Iceland’s marine benthic fauna. Located at the same facilities are the Sandgerði Nature Centre and a museum honouring the French Arctic explorer, Jean-Baptiste Charcot. The University Center in Vestmannaeyjar, is in the heart of a small fishing town in the Westmann Islands, located about 20 km off the southwestern coast of Iceland. The center is in a prime location to study the reproductive biology and ecology of many important fish and crustacean species, as well as seabirds such as puffins. The Westmann Islands are home to some of the largest fishing companies in Iceland, and historically the greatest proportion of Iceland’s total catch has been landed here. The islands therefore provide many opportunities to study fishing and seafood processing methods. The Húsavík Research Centre is located on the northern coast of Iceland on the edge of the Bay of Skjálfandi. Skjálfandi is world renowned for its diversity and abundance of marine mammals, and the University Centre offers a prime location to observe and study whales and other cetaceans. The University Center of the West fjords is located on the northwestern coast of Iceland in the small fishing village of Isafjordur. The Center offers Master Program in Coastal and Marine Management in collaboration with the University of Iceland and the University of Akureyri. Also location at the West Fjords is the University Research Center of the Westfjords which offers research facilities at various locations on the Westfjord Peninsula.